Treat him to the perfect everyday gift, with this personalized men's waxed canvas and leather messenger bag. 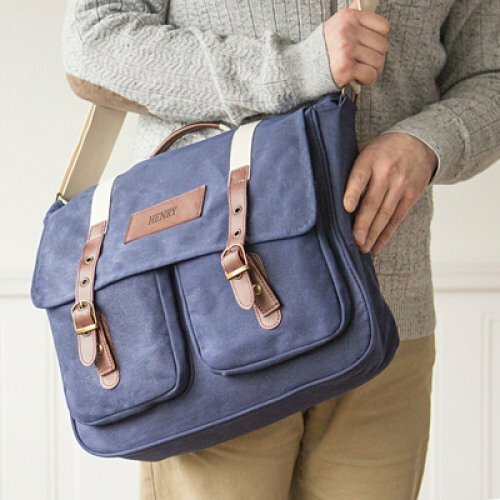 Made of durable canvas with contrasting leather accents, this bag features plenty of pockets for storage and has a very handsome appearance. Great as a groomsmen gift.